TOKYO (Reuters) - The newly appointed chief executive of Walmart Inc's Japanese supermarket chain Seiyu on Monday denied the business was up for sale, following reports last year that the U.S. retail giant was looking for a buyer. "I'm not here to sell a business," Lionel Desclee told reporters in Tokyo in his first public remarks since his appointment on Friday. "Absolutely not at all." He joked of "sleepless nights" as he read media reports of a possible sale just as he was considering the Tokyo job. "Thanks to this article I did thoroughly discuss Walmart's intentions," he said, adding that officials in Bentonville, Arkansas, assured him that he was being hired to grow, rather than sell, the Japanese business. 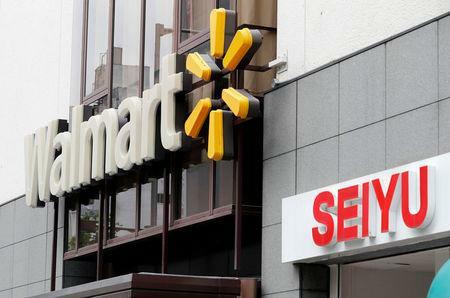 Under Walmart, Seiyu has closed unprofitable stores. It also launched an online grocery venture with Rakuten Inc last year, although it meets tough competition from rivals which will include Amazon's Fresh service.